LaVarenne » Fancy a Bit of Stuffed Peacock? From birds served with feathers intact to evaporating olives, chefs have created spectacle for centuries. What extraordinary things people eat! Just now we are being urged to switch from meat and fish to bugs to “save the planet.” How about using “fresh roasted crickets” for walnuts in your muffins, or savoring an Australian witchetty grub, grilled for two seconds over the coals and popped, still wiggling, into your mouth? I’ve never been offered a roasted sheep’s eyeball, apparently awarded to honored guests at a Bedouin feast, but an oyster on the half shell, so fresh it shivers when the lemon juice hits it, slides easily down my throat. I’ve recently been immersed in old cookbooks and, wow, our ancestors had gastronomic guts. In 1450, the banquet in England for the enthronement of an archbishop required 104 oxen, six “wylde bulles,” 1,000 sheep, 400 swans and countless game birds such as bustards (larger than a turkey), cranes, bitterns, curlews and herons. Seals were eaten on fast days along with whale, dolphin, porpoise and thousands of other fish. I suspect carp would have been the nastiest; they were raised in ponds and castle moats that also served as drains. Entertainment was the focus at these gatherings. A stuffed peacock with all its feathers was the highlight of medieval feasting, carried by a noble lady, her hair unbound to signal her virginity. In England, during the reign of Elizabeth I, an athletic display called the Alamain leap called for a jester to soar over the heads of seated guests and plunge into a custard pie “to the unspeakable amusement of those who were far enough bespattered by this active gambol,” remarked a commentator. Most popular diversion of all were the live birds served in giant pies — remember the “four and twenty blackbirds baked in a pie”? Food continued to be entertainment long after huge feasts with hundreds of diners became out of date. By the 17th century, the number of guests invited for grand dinners declined, but the lavish spread of offerings increased. Platters were arranged along the banquet table in front of seated guests, who were invited to help themselves to the food nearest them, or pass along a plate for a neighbor to do the honors. At the grandest affairs, guests were served by a footman posted behind their chair. Diners must have craned their heads to spot the new ingredients brought back by travelers — turkey, corn, potatoes, tomatoes, coffee, tea and chocolate, to mention just a few. Dozens of different dishes dazzled in gold and silver platters, or in the new porcelain exported from China. By the end of the 17th century in England, it was the custom to offer a different recipe for each guest — 10 for 10 guests, 50 for 50, and so on. As a modest example, the first course dishes of a June dinner for 10 suggested by the English cook Charles Carter in 1730 were a “pattage of ducklins with onions, an almond pudding, a turbot corbullion [court bouillon] with shrimps and lobster sawce, a fricasee of rabbits, a pottage of squabbs with sagooe [sago], umble [variety meats] pies, beans blanch’d and bacon, and trouts grilliade,” all surmounted by a “grand sallads of sorts” as a centerpiece. The acknowledged king of grand banquets was the French chef Antonin Carême, who in the early 19th century cooked for the czar of Russia and the English prince regent. In 1815, after the fall of Napoleon, the French Prince de Talleyrand headed the Congress of Vienna. As his chef, Carême organized official dinners laden with the likes of grilled turbot with anchovy butter sauce, truffled turkey, spit-roast pheasant with gravy and a grand gâteau called the ruin of Babylon — a menu of more than 100 dishes served to 60 to 70 people. Carême never failed to add as “extra” the hot soufflés that were his own invention, and the ultimate chic. Today we rely on chefs themselves to provide part of a meal’s excitement. A so-called “open kitchen” is the model, though it’s all a bit of a sham, with the noise and smells hidden behind a glass window. I’m always amused the really dirty stuff goes on in the back, the blood and bones and endless peeling of potatoes. However there’s one genius who drew us into the experience of creating fine food right at the table and that was Spain’s Ferran Adrià at elBulli, which closed last year. My own gastronomic extravaganza there was two years ago when his 37 courses included a flower of steamed rose petals dressed with an extract of artichoke, a “pond” of ice to be cracked with a spoon before the sweet, mint-flavored water beneath was drunk with a straw, and his signature “olive” that collapsed into a rich and puckery liquid essence of olive when it hit the tongue. In theory, such amusing nonsense has nothing to do with good eating, but it does of course. From sheep’s eyes to stuffed peacocks to olives that burst on the tongue, the very best festive dishes excite the imagination as well as the senses. 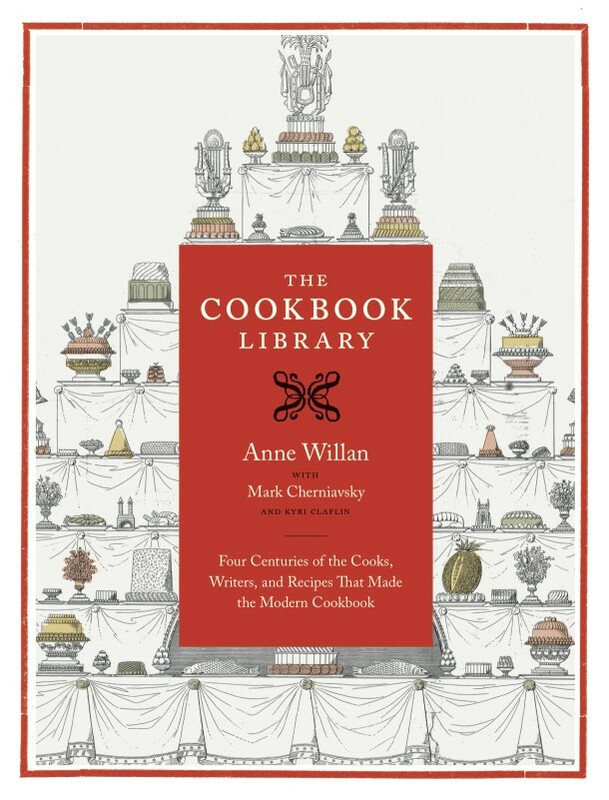 This week’s Zester Soapbox contributor, Anne Willan is the co-author of “The Cookbook Library: Four Centuries of the Cooks, the Writers, and the Recipes that Made the Modern Cookbook,” published in April 2012 by the University of California Press. 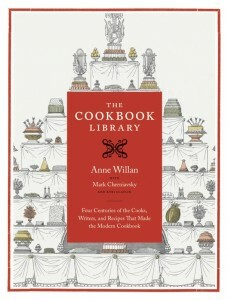 Note on the book cover below: Most famous of all Antonin Carême’s projects is this seven-tiered buffet of 103 dishes from a book written for maîtres d’hôtels. History doesn’t tell us whether the idea was ever executed, but given a minimum height of 20 feet, it seems unlikely. 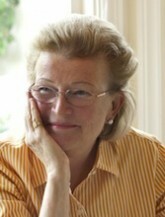 Very good webpage, Thanks for writing this, I am going to bookmark this site, many thanks.